Did they make choices that increased their risk of injury? While performing diagnostics to determine the root cause of an injury is necessary, we are reacting to an event that has already happened. The person has suffered an injury. Now we are trying to explain why it happened. The best possible outcome at this point is that the person recovers rapidly and completely – and we understand what can be done differently so that this injury will not occur again. The “treatment” should involve not only changes to the process, but also leadership and personal behavior changes that will significantly reduce risk. 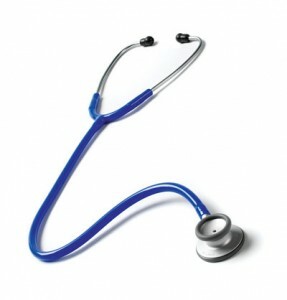 If your doctor is providing preventive care, the nature of the exam is different. In this case, the doctor is making an assessment of your risk in suffering from a disease or an illness. She does this by asking many of the same questions, but with the intent of identifying health factors which could lead to a future illness. For example, if you disclose that you have a high fat diet, are a smoker, and do not exercise regularly, she will inform you that your chances for heart disease are dramatically increased. Similarly, leaders who routinely facilitate proactive safety conversations with a goal of determining the influences on risk are providing the equivalent of preventive care. If the factors which influenced someone to take an unnecessary risk are understood, lifestyle and/or environment changes can reduce the likelihood that the same risk is taken in the future. Most safety leaders and supervisors are well-trained to provide ‘diagnostic care’. Incident investigations and root cause analysis are tools that enable us to determine what caused the incident. Corrective action steps are then taken to reduce risk. However, many supervisors receive little or no training on how to conduct an effective proactive safety conversation. How do you approach someone and enable a productive, two-way conversation where the purpose is to discover unknown influences on risk? While there is no “right way”, a few principles should be followed. The employee needs to be assured that they are “safe” in discussing anything. A candid discussion cannot occur without a climate of trust. The reason for having any conversation needs to be rooted in the supervisor’s genuine care for her employees. If the purpose of the safety conversation is perceived as a way to ensure compliance or find fault, nothing new will be learned. The supervisor should make it clear that she is seeking to understand how the employee sees his work environment in terms of any potential risks. The goal is to identify how any external and internal factors might influence his decision to take a risk. The discussion should be collaborative, with each person taking responsibility for specific actions to reduce risk. For example, the supervisor may remove any obstacle which makes it difficult to perform a task safely. Perhaps the employee can commit to work procedures that reduce the risk profile of the task. Are you providing diagnostic care or preventive care with your employees? If the only time you have a safety conversation is after an incident, the long-term health of your organization will never improve. However, proactive conversations can be very effective as preventive care in reducing incident frequency. Take the safety pulse of your organization by starting a safety conversation today!